State maps of the 50 states in the United States of America are the focus of the State-Maps.org website, which offers convenient links to printable state maps plus reference and travel information for each state. To access the maps and information, visitors can either click on the name of a state or click on the state itself in the full U.S. map. On each of the state map websites in this state map directory, visitors will find scrollable road maps, topographical maps, and relief maps. 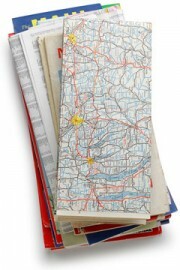 MapsAndDirections.us features multiple resources to increase your knowledge about maps. Learn about the major map projections and their uses. Find free online maps and point-to-point driving directions. 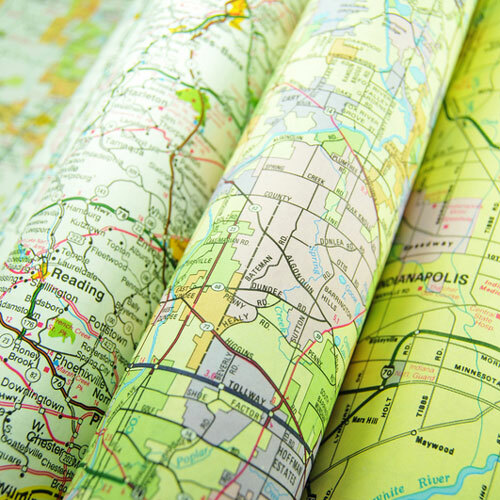 Links to selected map publishers, location services, and mapping software vendors are included on the website. This website contains maps and photos of the Arctic, also known as the north polar region. Website visitors can learn about the geography, climate, and topography of the Arctic as well as flora and fauna that are native to the region. Telephone area code information is featured on Area-Codes.org. Included is a directory of North American Public Network Area Codes, ordered numerically and by country and location. Website visitors can find area code maps and answers to frequently asked questions about telephone area codes. The Middle-East-Map.com website features several maps of the Middle East as well as information about the geography, history, and culture of the Middle Eastern region. The states and capital cities of the USA are the focus of the State-Capitals.org website. Visitors can view interactive maps of each capital city, learn about the state capitals, and find state government websites and other resources for each state in the United States of America. The Washington-DC-Map.com website features several maps of Washington DC as well as information about the geography, history, and culture of the District of Columbia.